Happy Friday! 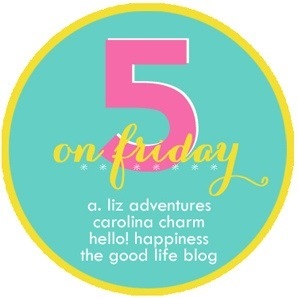 I’m linking up again with Darci for Five on Friday. I’m so glad it’s Friday, and especially today since my husband is off! Yippee! (1) Will is hooked on oatmeal for breakfast, which is great! This morning, he helped me make it. He likes to add a spoonful of vanilla yogurt and raisins to his oatmeal. 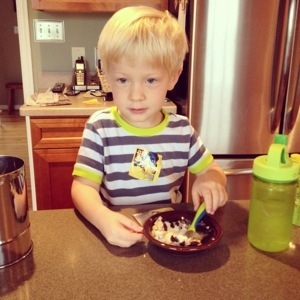 I’m going to make some baked oatmeal or oatmeal breakfast bars for Will to eat at the babysitter’s once school starts. Miss H. hates the texture of oatmeal-she gags and spits it out. 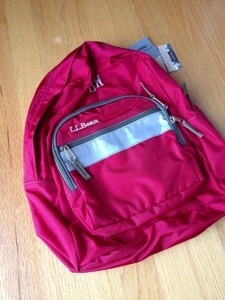 (2) Will’s backpack from LLBean came the other day. He’s becoming such a big boy! It is a definite sign that summer is winding down and school is about to start:( I am looking forward to fall, though. It’s probably my favorite season (that and spring). (4) I think my child is the only one who does not sit and listen to the stories at storytime, ha! Miss H. is typically the only one up and moving all around the room. 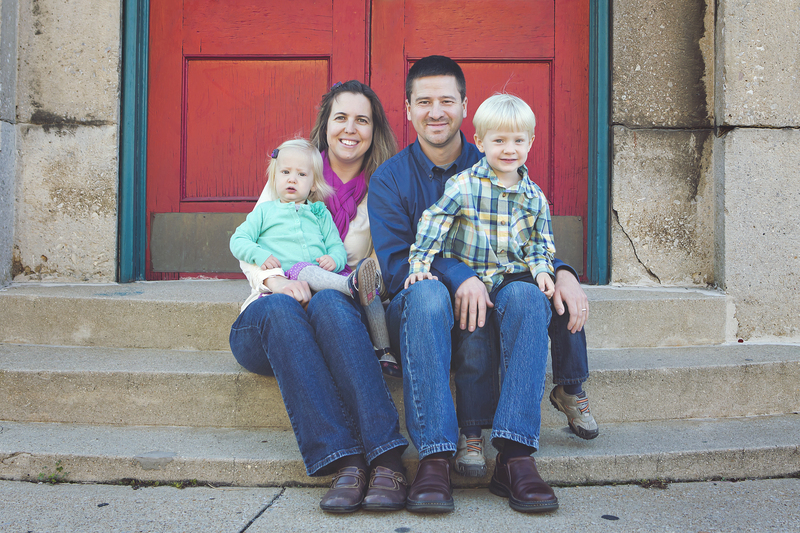 She and her brother are known as the “dynamic duo” at storytime, uh oh! The other week, she actually sat down on another mother’s lap and spent a few minutes there. We didn’t know this mother and in fact, it was the first time we had seen her at storytime. Miss H. is certainly not shy! 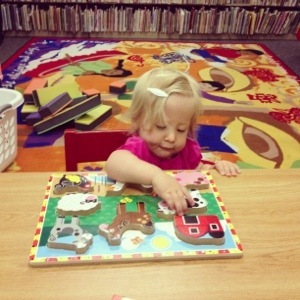 This is a pic of her playing (for about ten seconds) with a puzzle at the library. But I love it! That’s all until next week! 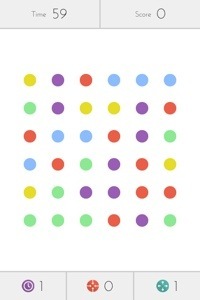 Have a wonderful weekend!